My three children are in full time school now and as a result we haven't been on holiday abroad for three years. As a family of 5, travelling in term time is very expensive. You are usually looking at around £3000+ for a one week break during the school holidays. This year, I've had enough and we are taking the children out of school for a week in the sun. Yeah! It is still expensive though and in order to pay for our week in the sunshine (and there had better be sunshine!!) we've had to make a few sacrifices to save. Flights, accommodation, spending money and holiday clothes for us all certainly mounts up. If I could turn back the hands of time I would definitely prioritise travelling with my children when they were aged under 2. Contrary to popular belief, babies are easy to transport and quickly adapt to new environments too. We used to take our children camping when they were babies but I much would have preferred to travel the world whilst we still had the chance. 1 - You can buy nappies and wipes abroad (other countries have babies too after all) which saves on packing. 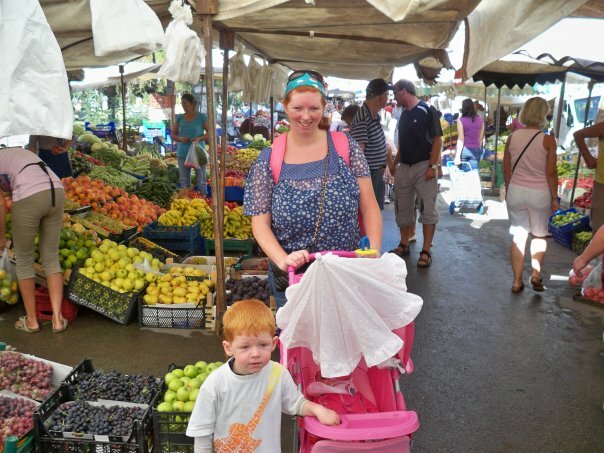 Just make sure you have bought items you can't usually buy from a supermarket (such as a travel changing mat for example) from the UK before you travel and you are good to go. Online retailers such as online 4 baby stock everything you should need. Although babies don't usually have any luggage allowance, if you pack carefully their belongings usually don't take up too much space in your suitcase. You are usually ok to take a pushchair or travel system on a flight free of charge too but check before you travel if this needs to be pre-booked. 2 - Children under 2 are usually FREE and don't pay for flights (or pay a minimal charge). I wish someone had told me this when I first started a family and I would have planned to pack in as many trips in as possible! When else in your life will you get the chance to travel the world for free? You are allowed to take baby milk, breast milk and baby food in your hand luggage if you are flying (check here for restrictions) and many airlines will provide in flight cots free of charge. 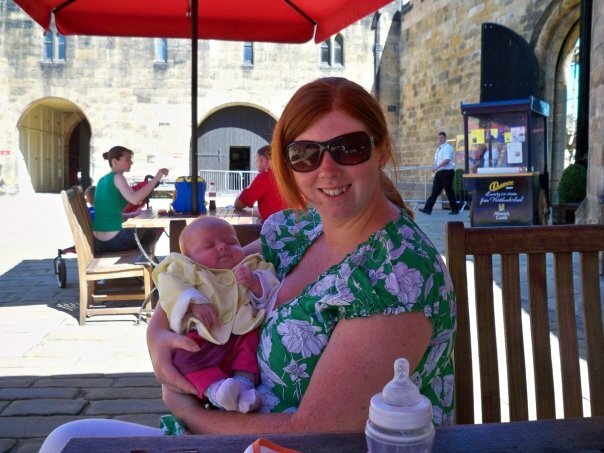 I actually think flying with a baby is actually less stressful than travelling by car! 3 - Babies will usually sleep in their pram or buggy or lie quite happily when you take in the sights and cultures of a new country. 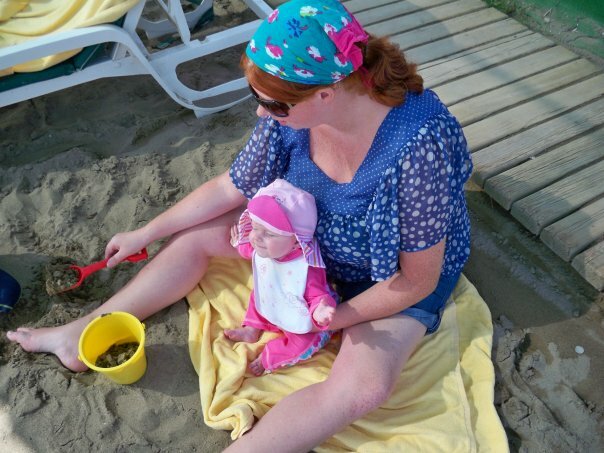 We bought a cheap buggy for Heidi when she was a baby and we visited Turkey. This was a mistake as it was really difficult to steer and she couldn't really lie flat. I wish we had taken our travel system which had three wheels so was far easier to manoeuvre. I often hear about people buying a cheap second pushchair to take abroad but in my experience there really is no need. 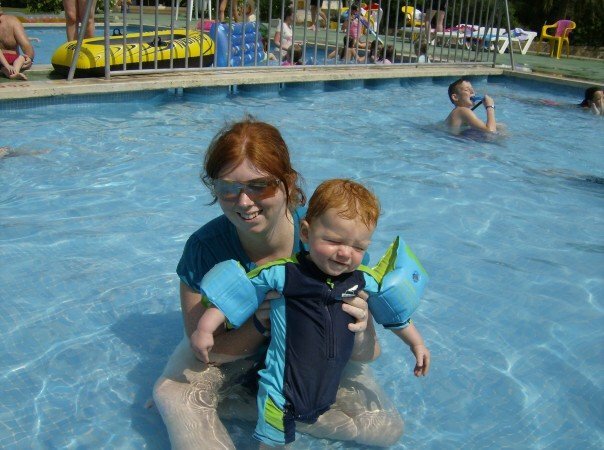 4 - Taking your baby on holiday is lots of fun for them too! My children have always loved spending time in the swimming pool or on the beach and going away for the week allows you all to spend some real quality time together without life getting in the way. 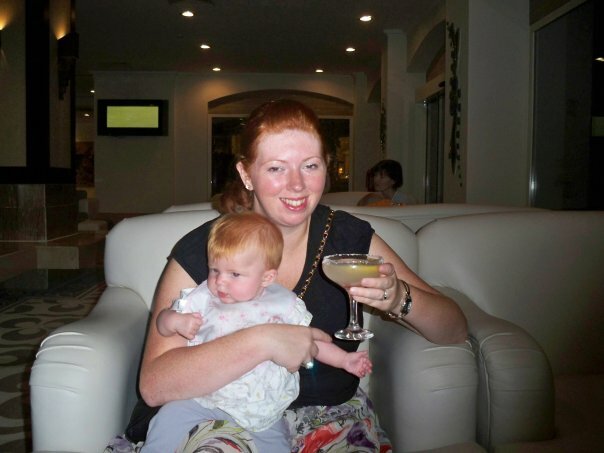 5 - Travelling with a baby abroad is actually more relaxing than being at home! 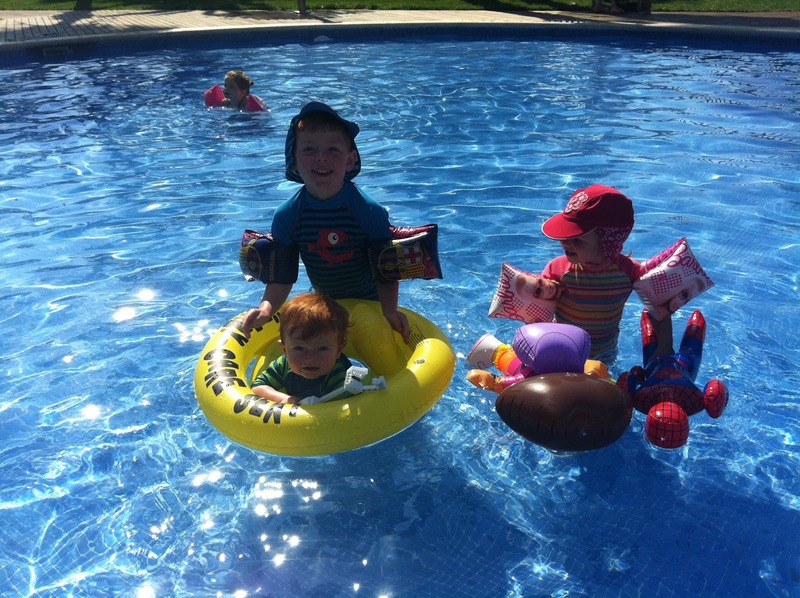 Babies love new environments to explore and always get lots of extra attention when they are on holiday. This photograph was taken at 7pm on a Wednesday night. If I was at home there is no way I'd be smiling with a cocktail in hand! More likely tidying the house/cooking dinner/trying to get baby to sleep.....you get the picture! Routine kind of goes out of the window on holiday but that's no bad thing. Have you travelled with your baby? We've only managed to get as far as Turkey with our little ones. I'd love to hear where you've taken your tot, especially if it's somewhere exotic. I completely agree - we have less than a year before school starts and I'm trying to pack in as much as possible. We did a fair bit of travelling when she was a baby but looking back I wish we had done even more before she started crawling! We travelled to the States on a three state tour when Noah was 8 weeks old. No problem. Babies are portable and just want to be with their family. When James was 5 months we went to Florida for a month and toured around the state. It was brilliant, and only possible because of parental leave - no way we'd be able to take such a long trip without babies!! I never thought of that too of course - what a good way to make the most of your parental leave! We took our daughter abroad for the first time when she was 3 months old and again at 6 months. Both holidays were really enjoyable and not stressful at all. She's 9 months now and we are planning to go away again in the summer, might be a little bit more stressful now she is on the move ha ha. I think the reason many people take a second cheap stroller away is for fear of damage to their expensive pushchair from the baggage handlers at the airport. We took a cheap one away bought from Amazon for £40 and we couldn't fault it.